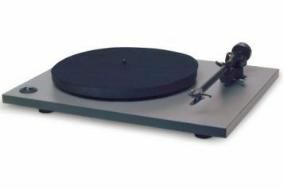 NAD reduces price of C552 turntable | What Hi-Fi? It's now in the shops for £275, complete with a pre-mounted Ortofon OM5E cartridge, having previously sold for £360. The C552 is of a 'rigid plinth' design, sitting on isolation feet to filter out vibrations, and the heavyweight non-resonant MDF platter is belt-driven driven by an AC synchronous motor. The moving magnet cartridge is installed and aligned on the arm, making the C552 ready to play straight from the box.